The long and short of it is we have come a long way with wedding favours over the years, we hardly see those horrific salts, but I can’t help but think we still have a long way to go… currently, we see lots of cupcakes, macaroons in really cute boxes and even the wedding cake itself with a cute thank you note… all wonderful…but not quite the “Piéce De Résistance” of favours. Anyways, I went internet trolling for some interesting favour ideas that don’t include scented salts or sweet desserts…. Some were awesome… others….not so much. Why I liked it: Flip-flops make the perfect favour because they will come in good use during the wedding and after. Ladies can kick off their painful heels and men their tight shoes to dance the night away. 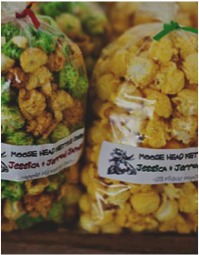 Plus you can customise them to be really sweet. 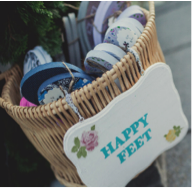 Only issue I have is the shoe sizing -how awkward is it to ask your guests their shoe size before the wedding. 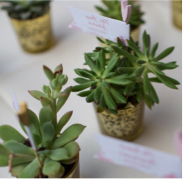 There’s nothing cuter than succulent favours stuffed in a teeny container, they are sooo adorable! Plus guests can actually use them at home or in the office. The good thing about mini succulent gifts is they don’t take up too much space and add a nice bit of greenery to your surroundings. This is an all-round win for me. 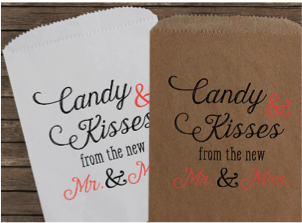 Who doesn’t like sweet things- if you create a lovely candy station at your wedding, you can give sweet messaged candy bags as favours for your guests to fill up to the limit! Short and sweet… literally. The Nostalgia of our childhoods coupled with the lovely message will make it a never to be forgotten favour….warning: a sore tummy disclaimer to your guests, is a good idea hehehe. What better way to say thank you than to make your guests donate to a charity … but not actually have to pay for that donation. 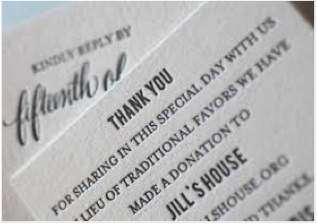 Donating money on guests behalf has become a popular favour option. 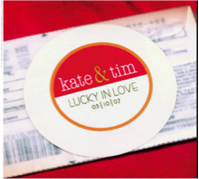 I love it because it adds to the notion of paying it forward… imagine if every wedding we went to had this favour… many mouths would be fed in the world… call me sentimental. My mind in overdrive as to what we can pair it with… Take the Amakipkip and pair it with a retro bottle of coke… PERFECT favor! So I added this because the concept is cool, and cheeky…but… what happens if someone ACTUALLY wins millions… I bet this is cute if people win a couple of hundred, or even a young R50 … but on the off chance that a guest wins R 50 million…. How will you feel …Favour at your own risk…. Coasters have BEEN around. But we have come a long way with them and there are some stunning options now. 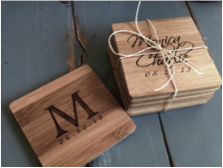 If your budget permits get guests some stunning wooden ones with your surname letter & wedding date engraved. Loving this idea. 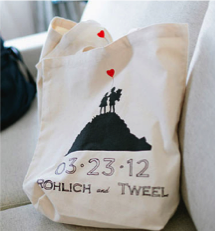 It may feel a little free government bagish.. but if done right these can be such a stunning favour for our whimsical couples. Customise the print or get some super local fabric to make it with and watch your guests ooh and aaah about their new proudly South African totes. The Verdict: While Favours are not everyone’s cup of tea…I reckon if you are going to do them, do them properly, give them a bit of thought and think with a heart of love…. And by God! Please don’t give people soap… think about it… SOAP on a table… WITH FOOD.